Direct from a sell-out Adelaide Cabaret Festival season, A Migrant's Son explores one of the most colourful times in Australian history, the arrival of the Greeks! Brought to life through original compositions, live band & a community choir led by Carol Young, this unique & touching account is both hard-hitting & hilarious. Described by Kate Ceberano as ‘an asset to the cabaret community’, Michaela Burger is the recipient of the award for Best Cabaret Adelaide Fringe 2016, winner 2015 International Cabaret Contest and has been nominated for a Helpmann Academy Award for Best Cabaret Performer 2016. In addition to touring extensively with her hit show Exposing Edith (the life and songs of Edith Piaf), her most recent performing credits include Can You Hear Colour? 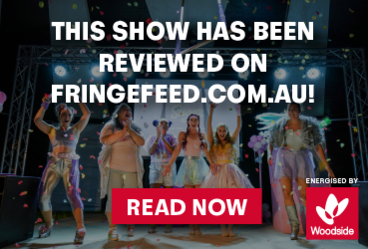 (Patch Theatre/2018 Adelaide Festival), Rumpelstiltskin (State Theatre SA/Windmill Co.) and Brel: The Immortal Troubadour (2017 Adelaide Cabaret Festival).